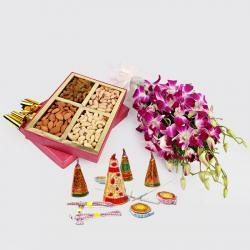 Product Consist : Bouquet of 12 Mix Flowers Like Gerberas and Roses with Box of Assorted Dryfruits (Weight : 500 Gms) and 16 Pcs Ferrero Rocher Chocolate Box and Along with Assorted Fire crackers (Worth Rs.300/-) (Note: Types of Fire Cracker are depends upon their availability no specific choice). 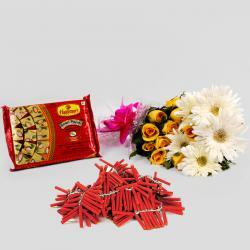 Diwali crackers add an excitement and fun on the Diwali celebration. Diwali is a major festival in Hindu community and it is celebrated with great joy and enthusiasm. 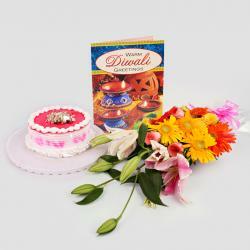 Send this awesome gift hamper to your dear ones which contains marvelous items for Diwali celebration. 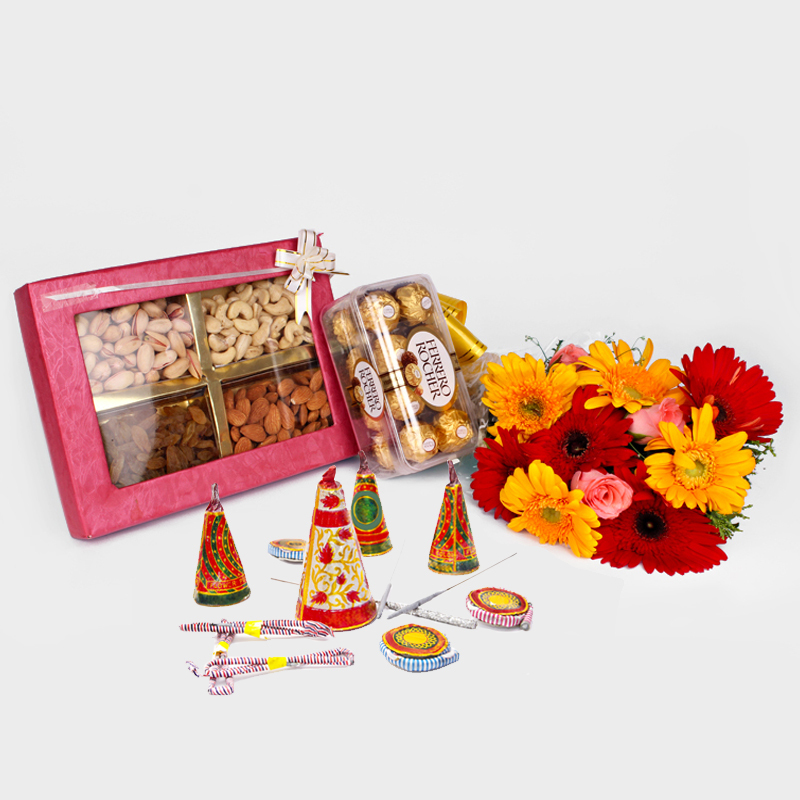 It includes a bouquet of mix flowers like gerberas and roses along with 16 pcs ferrero rocher chocolates also includes a dry fruit box with four types of dry fruits and some Diwali crackers to add more enjoyment and fun in your celebration. This incredible gift hamper is bound to deliver joy and fun. 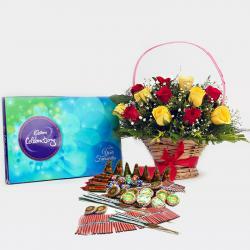 Product Includes : Bouquet of 12 Mix Flowers Like Gerberas and Roses with Box of Assorted Dryfruits (Weight : 500 Gms) and 16 Pcs Ferrero Rocher Chocolate Box and Along with Assorted Fire crackers (Worth Rs.300/-) (Note: Types of Fire Cracker are depends upon their availability no specific choice).